First and foremost, I’m fascinated that a book on the natural world is prefaced with a painting of how that world is both sustained and came into being. 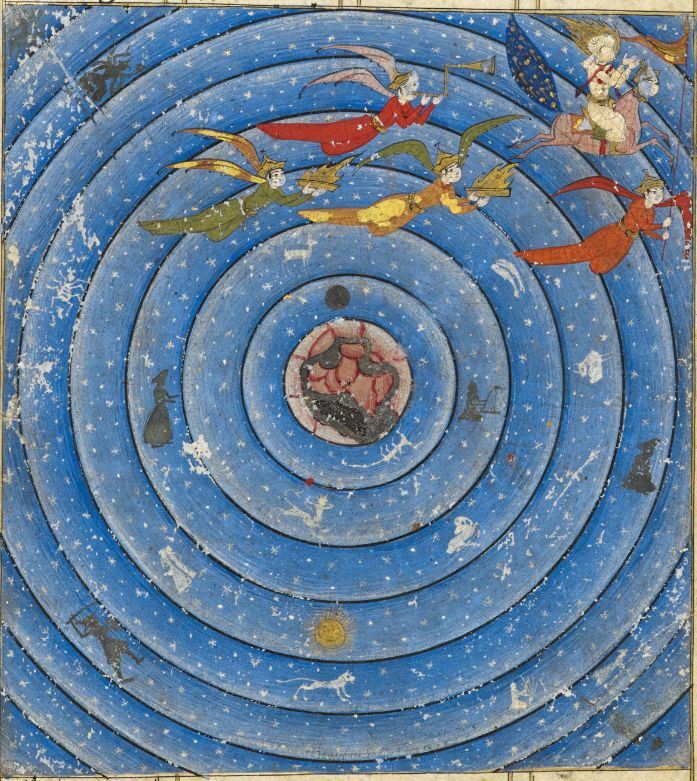 The Celestial Map or Macrocosm above is the opening miniature in the Turkish Zubdat al Tawarikh or History of the World commissioned by the Ottoman Sultan Murad III. 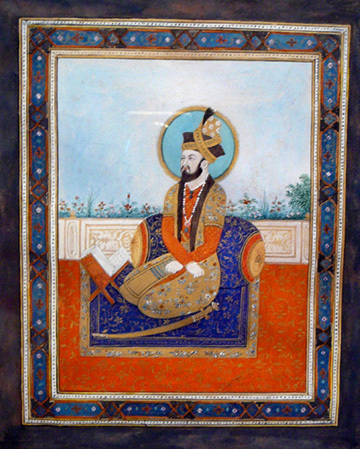 These very fine paintings were on vellum and the work was completed C. 1583. The visual arts and astrology have long been inseparable. 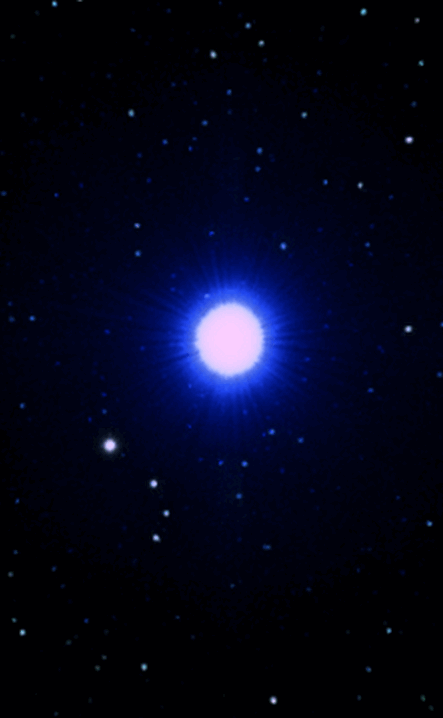 The earliest star-lore was depicted visually in Sumer and far back into the Paleolithic period. The movements of the Heavens has always been of great importance and one picture really can be worth a thousand words when it comes to explaining Cosmologies. Most importantly, we no longer live with the concept of divine origin. 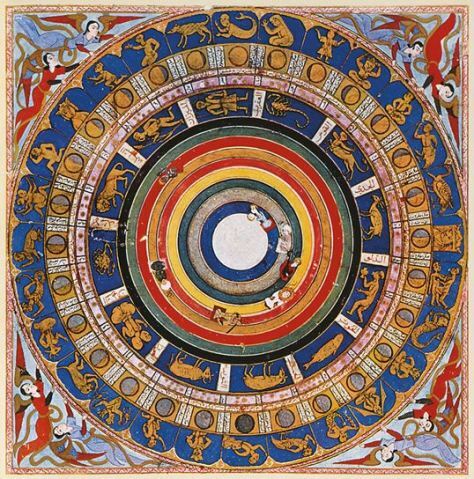 Traditional Astrology is very much aware of this reality The image contains an enormous amount of information. Most fundamentally, we have circles within circles At the centre is the source. 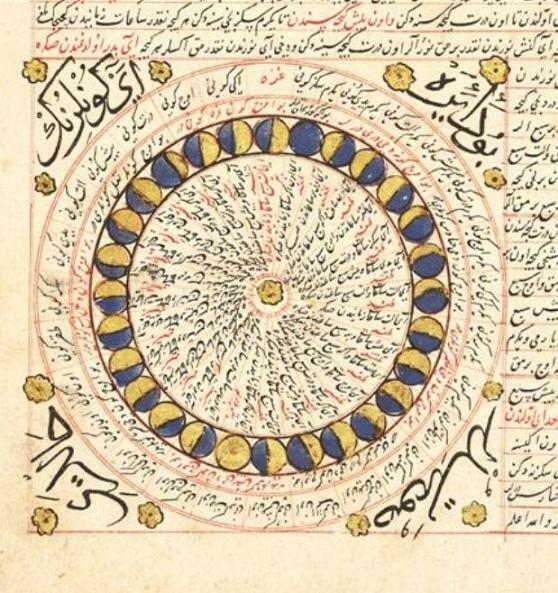 Next the seven planets and luminaries are shown in their orbits following the Chaldean order. Beyond the orbit of Saturn have the realm of the Fixed Stars and it appears that the artist has chosen to place the zodiac beyond the black circle. 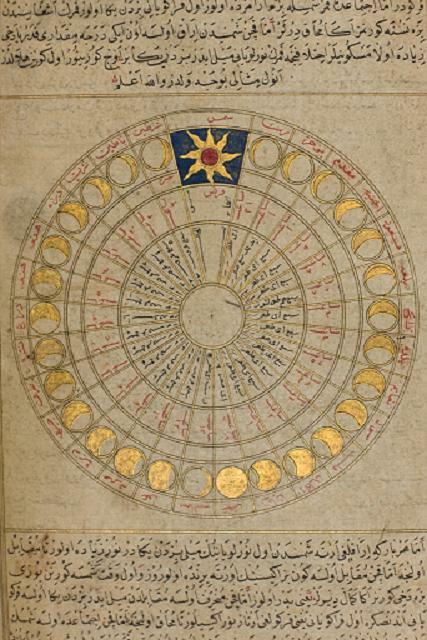 The seven planets and luminaries are shown in their orbits following the Chaldean order in a spiral. Beyond the orbit of Saturn we have the realm of the Fixed Stars and it appears that the artist has chosen to place the zodiac beyond the black circle. 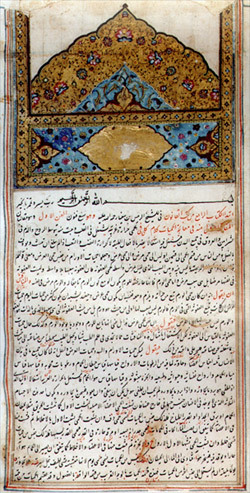 Muhamad’s Night Journey is in Sura Al Nisra of the Quran and further embellished in the Hadiths It’s controversial these days. Many modern Muslims consider this to be a literal event that occurred at a particularly time and place. 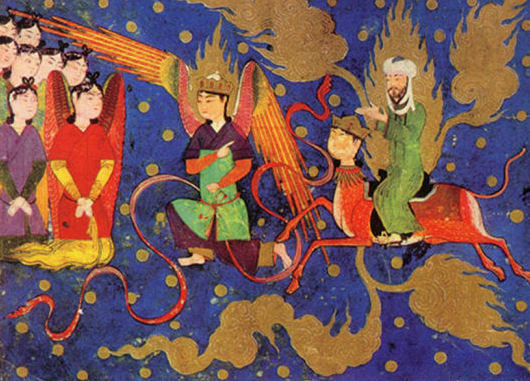 – The Prophet rides on Buraq as is taken to Jerusalem where he ascends to meet the various Prophets from what is now known as the Dome of the Rock. 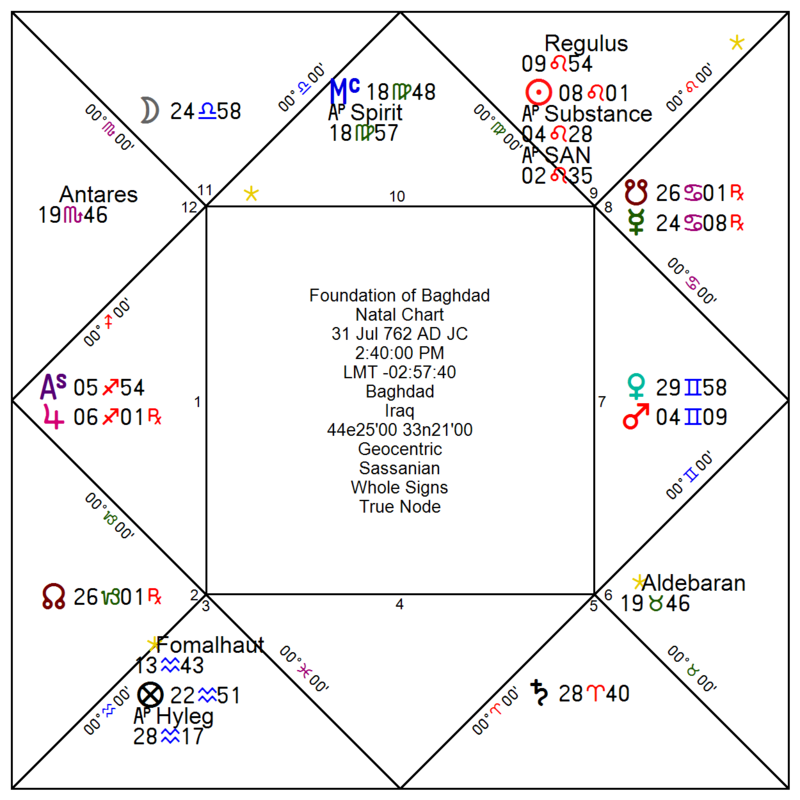 The exhortations against astrology are most specifically related to attempting to know such things as the time of the last day and the resurrection. This is the prerogative of the Creator. 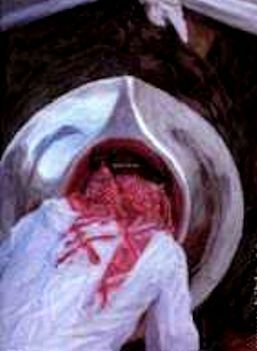 Common fortune telling won’t find any more support in the Quran as it does in the Bible. 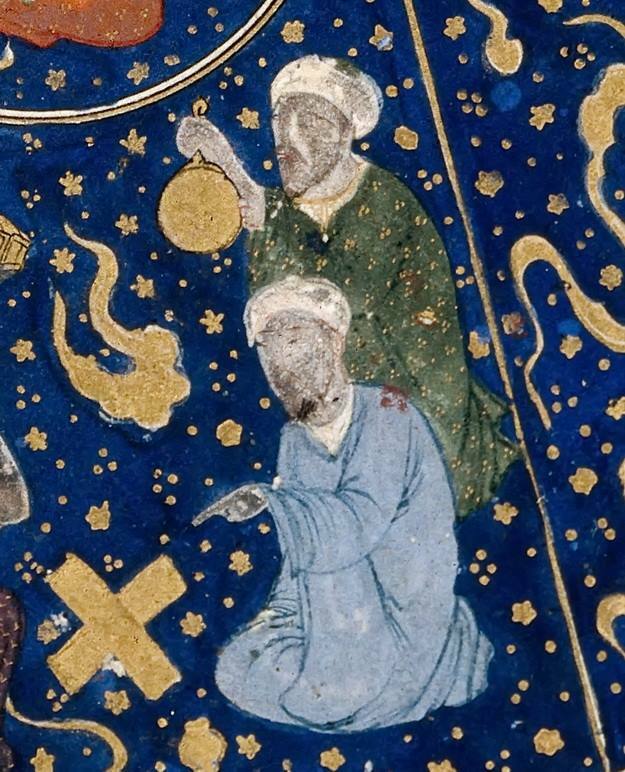 Indeed, many sects of Christianity regard astrology as forbidden. In much of my work, I have tried to show the massive difference in intent, method, and applications of divination compared to the disreputable and unwise world of fortune telling. Above, we what is essentially the sane theme found in the previous paintings, but with a slight twist. 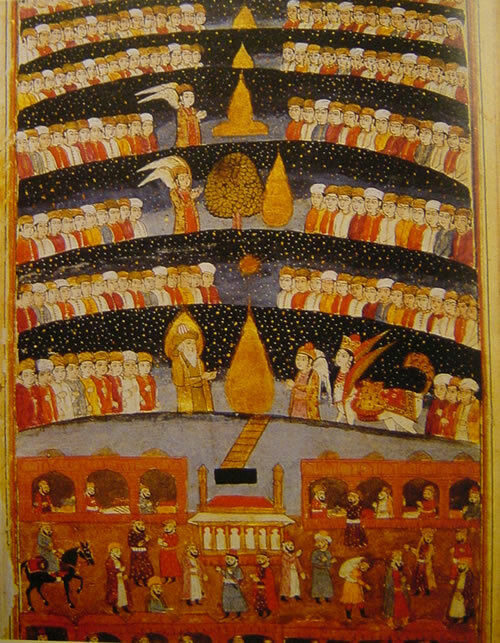 This Persian Sufi painting describes the Night Journey of the Prophet. This work is far more complex than first meets the eye. The painting has deteriorated, but we can still see the planets, represented anthropomorphically. The Sun and Moon are represented as disks. occupying the first and fourth sphere, as per the Chaldea order. We can also see the constellations, but they are projected in such as a way that we have the illusion of looking through the spheres. 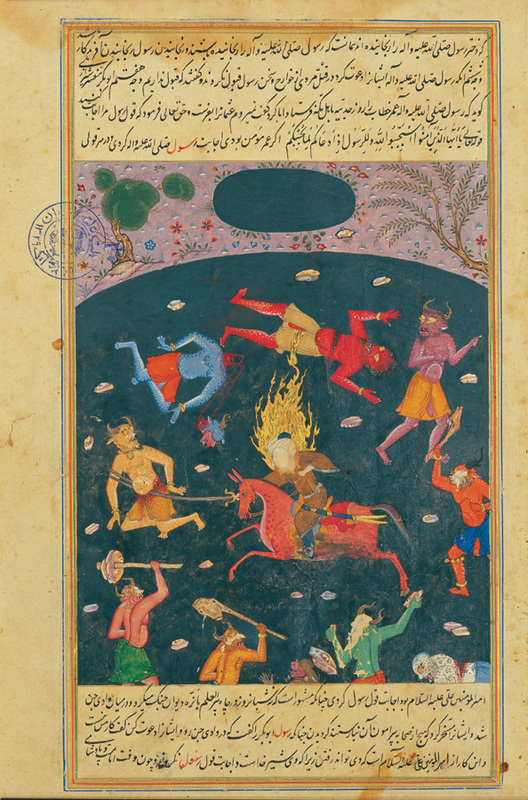 Remember that this is illustrating Muhammad’s mystical Night Journey. Finally, we can take a brief survey of some of Islam’s most esteemed astrologer. 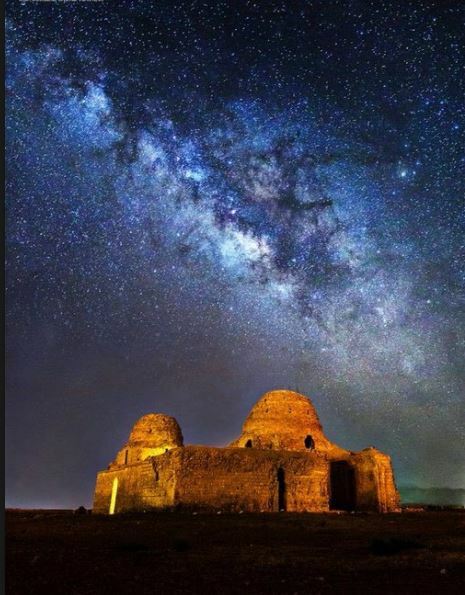 Most are surprised to find that the poet Omar Khyyam was an accomplished astrologer(1019-1135) He was a an astrologer of Khorasan. He was so accurate in his predictions that he even understood about his own death. This isn’t exactly the same as knowing the time of his death, but points to a deep understanding of the art. 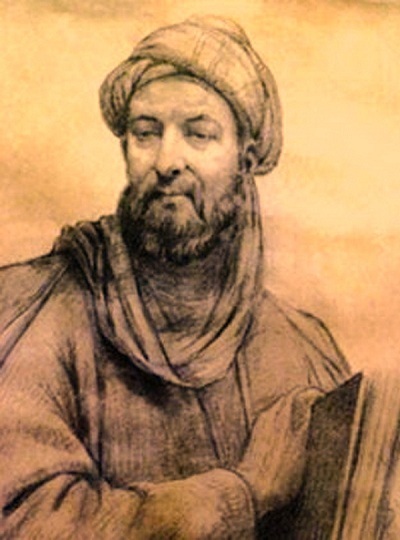 Many will be familiar with Sahl Ibn Bishr, Al Kindi, Ibn Arabi, Al Biruni and others. This may seem trivial to some, but we have a great deal at stake worldwide. Literal Fundamentalism is not compatible with peace and has the effect of numbing the mind. 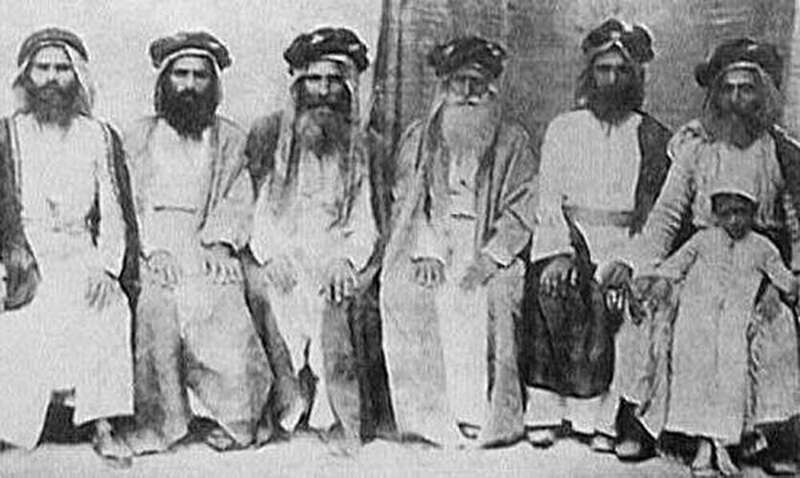 The golden age of Islam did not flourish because of a stricter adherence to Shariah, as is commonly thought by contemporary Muslims, but because it was a period of openness, serious study of Classical antiquity and a willingness to work with people of divergent faiths and ethnicities. 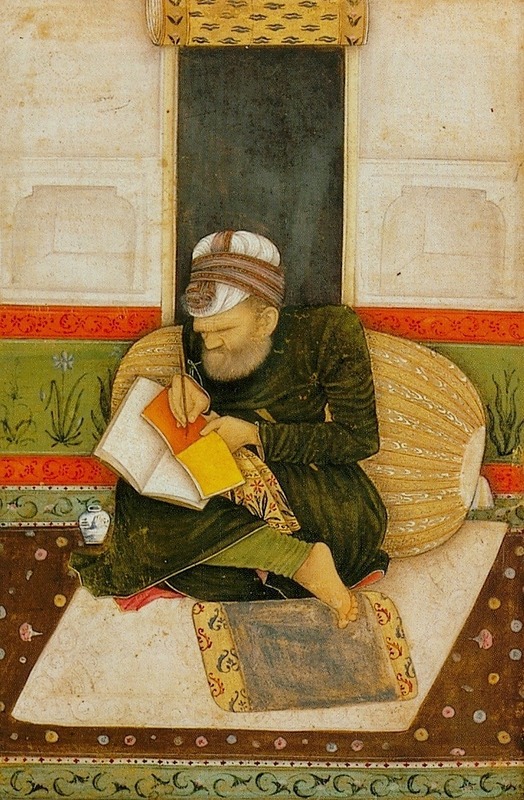 When we read the works of astrologers from other times and cultures we tend to feel we have a lot in common with them. For example, it is natural to assume that Venus has the same qualities and associations in our lineage. Some accommodations are made, but we don’t expect radical departures. 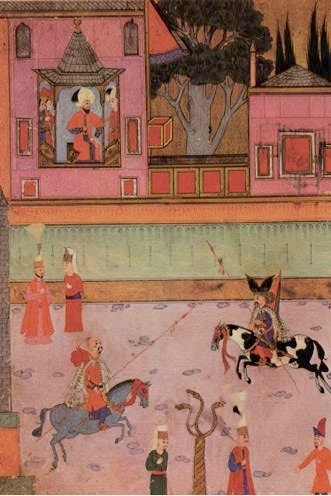 The fact is that Venus is mutifaceted, one might even say protean, in Arabian cosmology. Venus is also closely related to the Moon, in ways we may not expect. 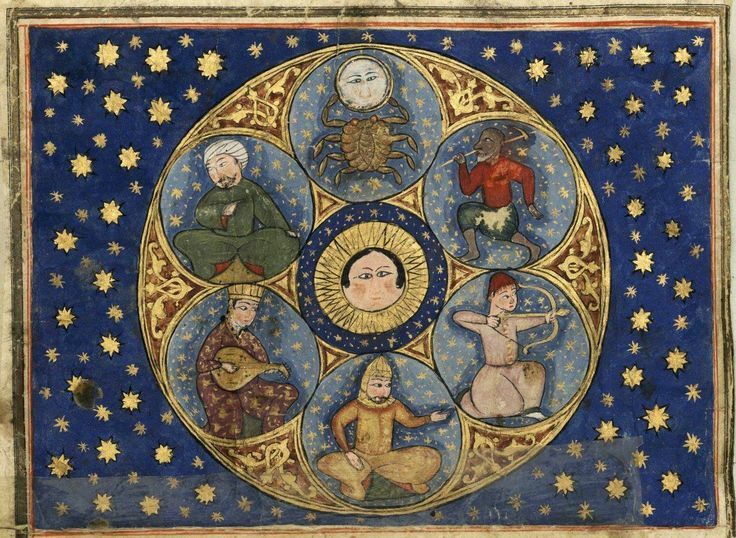 It is well known by Traditional Astrologers, particularly those working in Mundane astrology, that Islam is under the governance of Venus. 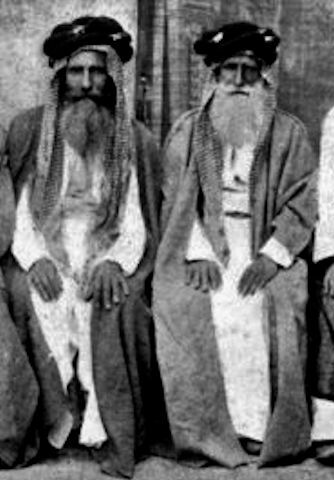 This is an ancient association which has been transmitted to us by both Muslim and non Muslim scholars. What is not be so commonly known is that the importance of Venus preceded the inception of Islam by thousands of years in the Middle East. Ptolemy divided the four directions by triplicity. week is Friday and the form of this goddess is a cube, which is the sacred form for Arabs . 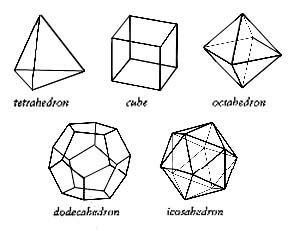 This doesn’t correspond with the Platonic Solids, as understood by Kepler, but the source appears to be Ancient Middle Eastern and long preceding Plato or Pythagoras. 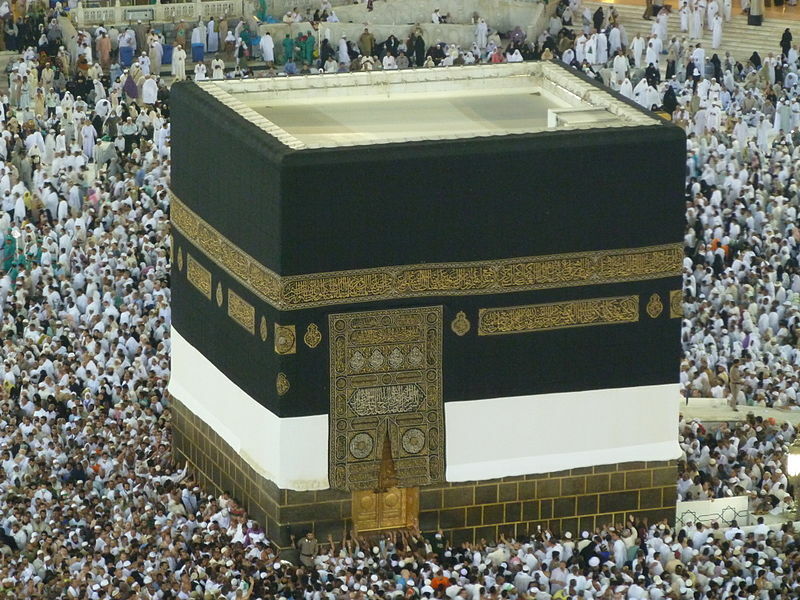 One of the first things that caught my eye on seeing footage of the Haj many years ago, was the participants circumambulating the Kaaba in an anti clockwise direction. This is highly unusual and in most traditions considered very harmful. The act of moving counter-clockwise is said to provoke or upset the natural course of the world – it went against the natural order From this comes havoc, destruction, and in general negative and unfortunate this to happen. 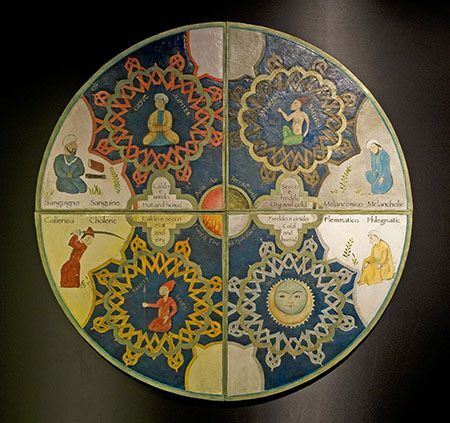 Although we find this knowledge in the oldest Pagan sources, clockwise movement came as a natural element to Christianity, perhaps because of its association with Solar Cults, including Zoroastrianism. In The Great Triad , Rene Guénon demonstrates two points of possible orientations. (i.e. Polar in Fig 13 and Solar in figure 14) “the first direction is one of the stars turning about the Pole when one looks North” the second is oriented to the Sun when looking South (50,51) The second is by far the most common. All other visible planets in our Solar System rotate in a counter clockwise motion. Certainly it would be impossible to view the direction of the orbit of Venus even with telescopes because of the planet’s extremely dense atmosphere. 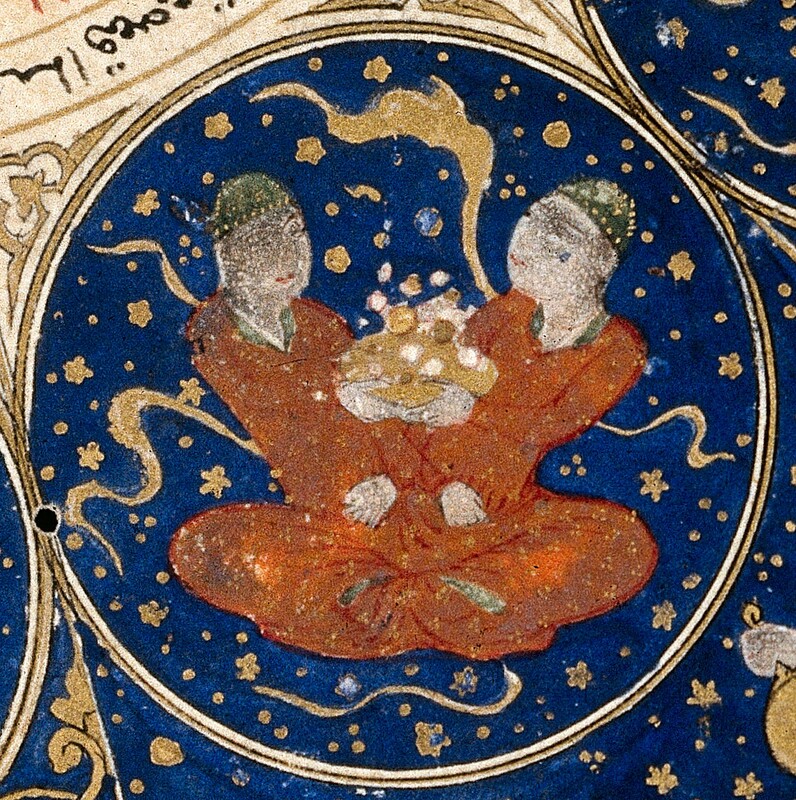 Mohammed_Splits_the_Moon Anonymous 16th-century watercolor from a Falnama, a Persian book of prophecy. 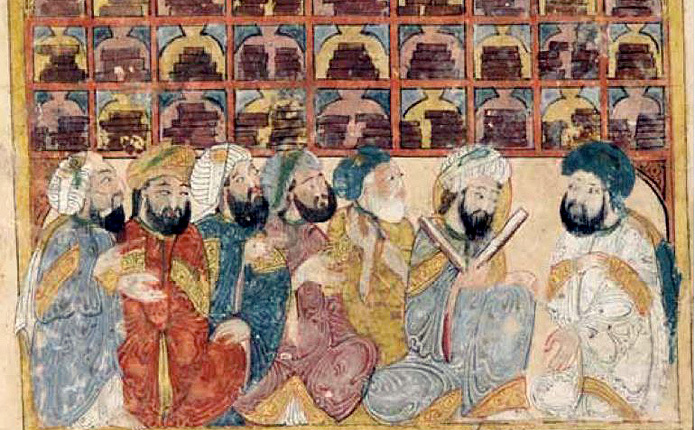 Muhammad is the veiled figure on the right. It’s has also been suggested that moving in anticlockwise direction goes against time and revives the Sunnah of the prophet Ibrahim and of course, Muhammad. 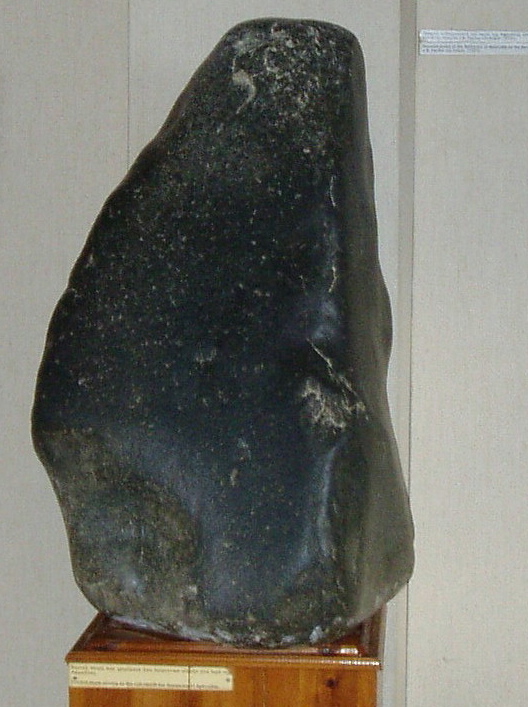 The Kaaba’s keystone is a meteorite set in what looks like female genitalia. The meteorite is essentially round, so there is no structural reason for this choice of setting. This harks back to pre-Islamic times as does Ramadan and much else. The participants at the Haj are ideally to kiss the meteorite and if that isn’t possible, they are to point at it each time they circumambulate the Kaaba. This meant that Mecca’s income came largely from pilgrims visiting and worshiping the idols while spending money on the process . 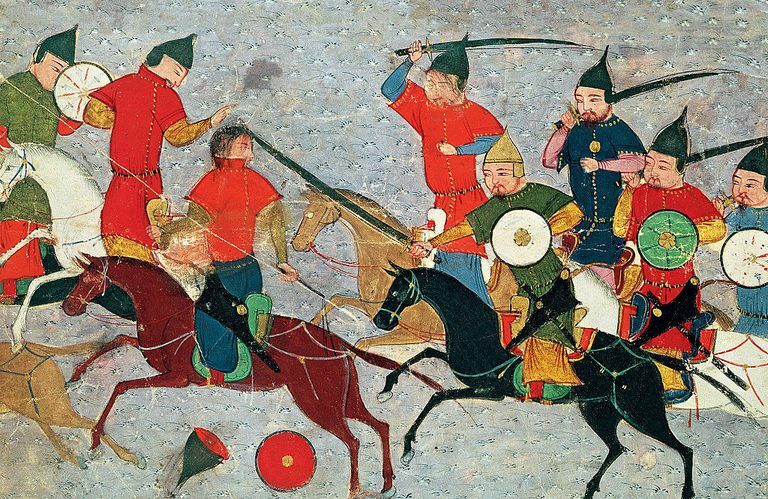 This was an early source of conflict between Muhammad and the Meccans. The site of the Kaaba itself is celestially aligned. : ” the structure holding the black stone is offset from the Cardinal Directions so that one wall is to the line connecting the Winter Solstice sunset to the Summer Solstice sunrise. The other side of the building faces towards the horizon and the rising of Canopus ” (Penprase. Power of Stars. p.209) This sets the direction of prayer for Muslims worldwide. 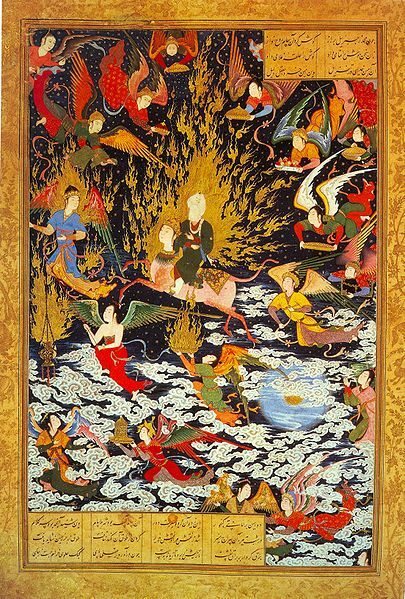 The goddess Nahid, for example, is “alternately the wife, the sister or the mother of god. However, when she is the wife and mother of god, her symbol is the moon, and when she represents the goddess of love and music, the planet Venus.” (Mohammad Sadeq Nazmi Afshar. 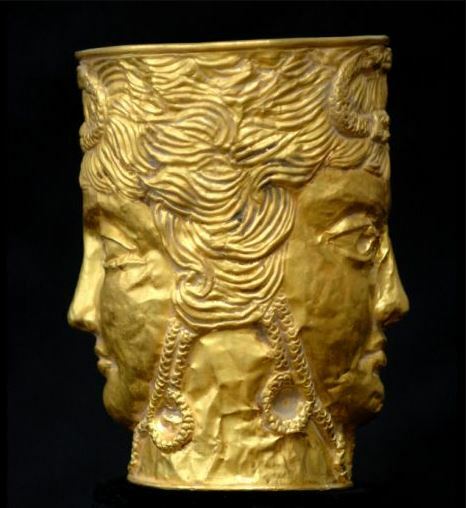 Nahid, Mother of Gods 2013) In effect, the Arabs took the Moon god Sin, a male god of war. Over time, Venus replaced the Moon, while absorbing his qualities. However, Islam subscribes to a Lunar Calendar. The Lunar cycle is 28 days and so very naturally associated with the menstrual cycle. In his twenty year study, Dr. Rafat Amari writes : “we know that the term “Allah,” as the god of the moon, was derived from the Thamud god of the moon. 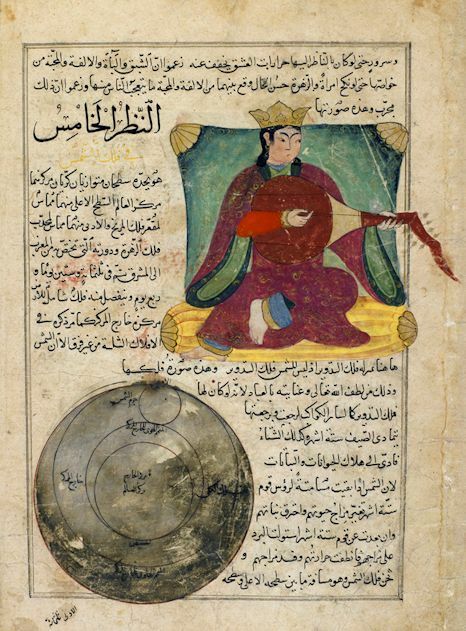 His name was Hilal, or Hlal, which means “crescent.” Later, the name “Hilal” became Hilah, as we see in many inscriptions which were found in Arabia. In the Thamud inscriptions he is found as H-ilah, Ha-ilah and H-alah. We see the same development for “Hilah,” the moon deity in Yemen, where Almaqah is called “Halal,’ or “Hilal, the Crescent. The ancient Sumerian Moon God, Sin was male and this association was carried over to the pre Islamic cultures in the Middle East .Arabs, particularly insofar as he was a god of war. One of the names of Venus is Lucifer, which we usually consider as masculine. Although Ptolemy was looking at the Middle East and Central Asia when assigning Venus as the significator, the eventual Arab influence on the entire region is staggering. 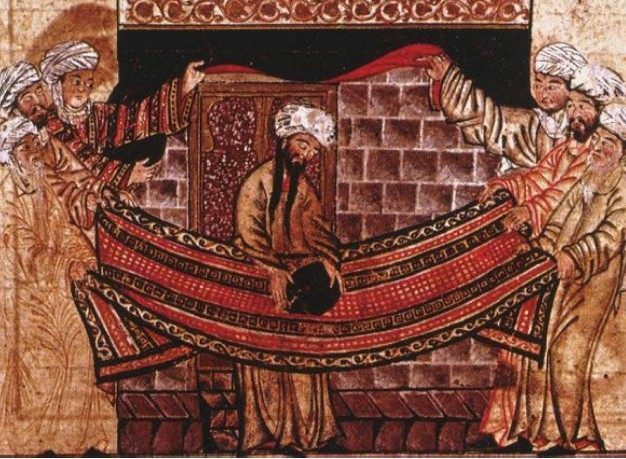 At the most basic level, Arabic is considered the only fully legitimate language of the Qu’ran, in spite of the fact that it pre-dates Classical Arabic and was more likely written down in Syrio Aramaic. Ptolemy couldn’t possibly have anticipated just how accurate his association would become. Some will consider this a dilemma, but it doesn’t need to be. I think this knowledge is crucial, particularly in Mundane astrology. 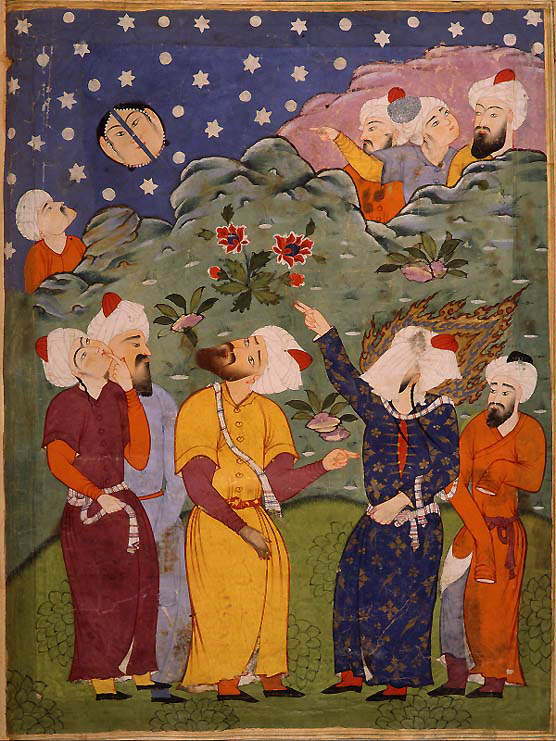 It is most helpful though to consider the meaningful differences between the Western Classical and Arabian Venus, not least because of the association with the Moon.